Purpose : To securely attach and or detach a case to an surface quickly. 1. Place Base upside down. 2. Install Plunger into Base. 3. 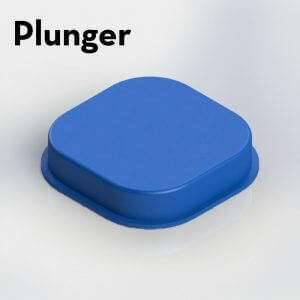 Fit plunger into Base. 4. Place 4 Compression Springs into Base/Plunger Assembly. 5. 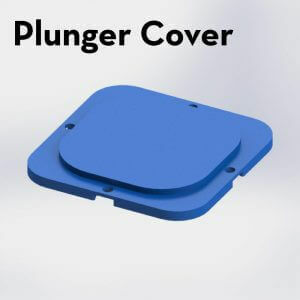 Screw Plunger Cover onto Base/Plunger Assembly with 4 Hi-Low screws. 6. Apply VHB Tape to Base and Lock parts as shown. 7. Clean surface of SE56 and surface that the base will be applied to with rubbing alcohol. 8. Place the VHB strips on the Lock surface in between the two grooves as shown. 9. Carefully place the Lock onto the bottom of the SE56. (b) Alternatively you may use VHB to attach the Base to your surface. 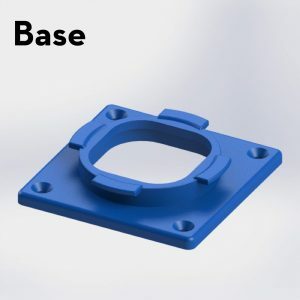 Install VHB onto Base and carefully place the Base on the item you want to install it onto. – VHB is incredibly strong but it may require some time to “build” adhesion. – The SE56 is made from Poly-carbonate so a glue or adhesive appropriate for Poly-carbonate may work well. 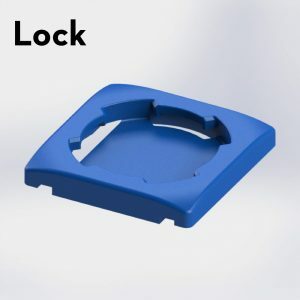 Most other Seahorse Cases are made from Polypropylene and do not accept glue or adhesive well, in this case use the screw attachment points provided on the Base. Please show us how you use the twist lock for your application!